With February approaching, the first thing that comes to one's mind is without a doubt - Valentine's Day. I'm pleased to be working with the online clothing brand Zaful once again and show you guys some of my personal outfit choices for the upcoming Valentine's Day. 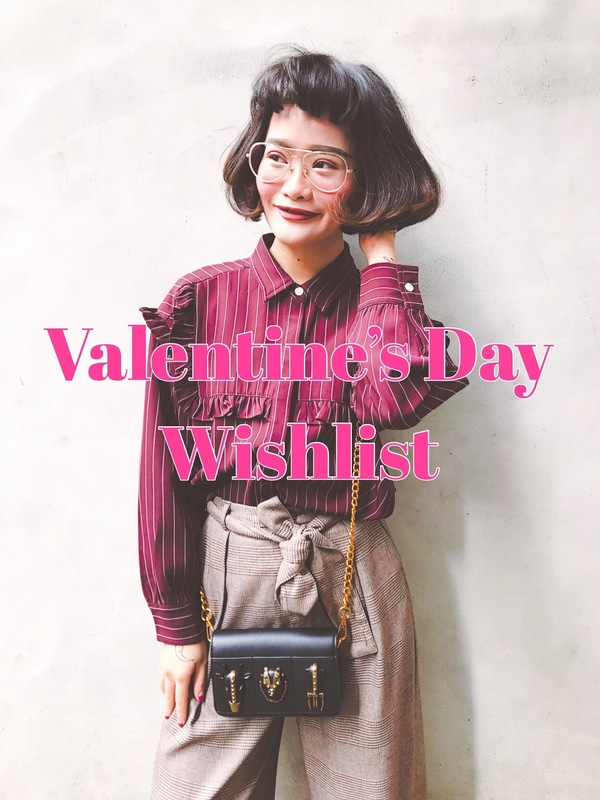 If you like any of the outfits I pick out in this blog post, be sure to check out Zaful Valentine's Day Sales for more exclusive special deals and a variety of affordable, stylish clothes. To start of this wishlist, I chose a vintage-looking, red plaid shirt. I simply love how old-school it looks and I like the cinched cuffs design. Personally, I think it would look so cute and retro to pair this with a simple pair of black pants or jeans. This sheer, see-through embroidered top just screams romantic and feminine to me. Needlessly to say this is the perfect date night outfit look, or if you are just planning a fun girls night out with some of your besties, it is just as appropriate. If you couldn't tell already from my selection of clothing, I love printed blouses. Any shirt or blouse that has some kind of cool and interesting print on it, I am all for it. With Zaful's Valentine's Day Special offers, I'm able to get some of my favorite items for much cheaper prices! Would you just look at how beautiful and romantic the rose print on these pants is? I feel like this couldn't be more suitable for a date night or a fun night out with your girls on V Day. You can easily throw on a simple top and just be done with it! You can never go wrong with high waisted pants and stripes. The two fashion elements are a timeless combination. Anyone that knows me knows that I live for these wide-leg pants. Last but not least, my wishlist would not be complete if I don't pick at least one printed dress, am I right? I usually love more vintage and retro dresses, but since we are approaching Spring, I figure it is much more fun to start wearing floral again. This particular dress instantly caught my eye with its beautiful ankle length and its red and white floral print. Whatever you are planning to do on Valentine's Day this year, whether you are going on a romantic date or having a girls' night out, or you are just going to chill and laid back in your house, watch a movie with your friends( I will most likely be doing this. ), you can certainly find the perfect outfit on Zaful. Be sure to use the discount code ZAKIRA when you check out! All of these pieces are absolutely gorgeous. You have such a great eye and I love your style!!! Great picks!! Especially I like the floral dress. SO suitable for spring!